January 22nd, Not far Now. Following a few days rest and relaxation, Daisy and her crazy crew left Isle Rosario yesterday morning on their way to the San Blas islands. My crazy crew will relax again in the San Blas for a couple of weeks before finishing the first leg of the circumnavigation and meeting me in Panama. The sail to the San Blas will be a “sail all day and sail all night” leg. This is never an easy sail the wind and current off the Columbian coast is never predictable and can be horribly choppy and rough, it was a passage I truly hated. Last time we were dodging masses of floating debris, whole trees that had washed off the coast from the previous storms. Sailing at night there is really treacherous because you cant see the debris in the water. I will only be able to relax once I hear they have arrived safely. This is not a passage for the faint of heart. 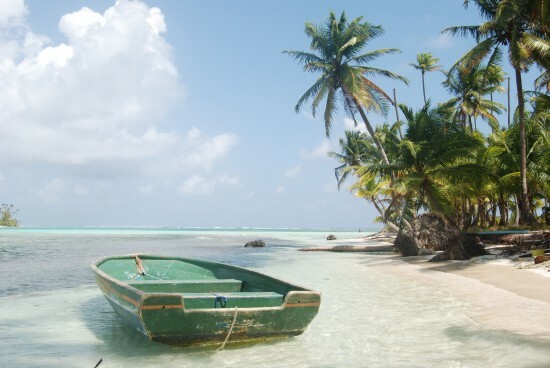 The Beautiful San Blas Islands. This article was posted in San Blas Islands and tagged Crazy Daisy, Oyster World Rally, San Blas Islands. Bookmark the permalink. Follow comments with the RSS feed for this post.Post a Comment or leave a trackback: Trackback URL.